How do you feel about archaeology? Not terribly excited at the prospect of clay shards, stone tools and impenetrable display captions? Well, think again. In an attempt to get people interested in what's buried beneath our feet, nearly five hundred exquisite pieces recovered from the ancient city of Kanesh (modern-day Kültepe, near Kayseri) are currently on show in the atrium of Aya Irini Museum. Under the direction of Professor Fikri Kulakoğlu, who is overseeing the excavations at Kültepe, every item has been sensitively arranged and clearly labelled in Turkish and English. Even the venue has been carefully chosen. Not only is this former Byzantine church an historic site, but the atrium was once used to store merchants' wares; an appropriate place to display goods belonging to a great mercantile civilisation. And what an intriguing society this must have been. As predecessors of the Hittites, the people of Kanesh (which was at its height c.2000-1750 BC) appear to have provided the basis for all subsequent Anatolian civilisations. Elements of their calendar, as one hieroglyphic tablet shows, are still in use in rural Anatolia today. The first section of the exhibition is given over to these tablets, while the rest deals with religious, funerary, trade and domestic items. Some parts of the exhibition are less than visually enthralling, such as the vessels for working metal. However, these provide the explanation for this culture's fascination with decoration. Every single household item, no matter how basic, combines form and function; handles are turned into dragons' heads, holes become mouths, and spouts become beaks or hands. Given Kanesh's great wealth as a centre of the trade in metals with Mesopotamia and beyond, it is no surprise that they had the leisure to create such beautiful forms. This trade also meant that their art was heavily influenced by the civilisations of what is today Iraq; a clay rhyton (above) shows a goddess sitting in a lion-headed boat, the imagery of which derives from the sacred journey of Ishtar on the Euphrates. Kanesh itself provided the basis for much of Hittite art and culture, which may in turn have influenced the early Greeks. Professor Kulakoğlu has done a wonderful job, not only of presenting Kanesh's rich artistic output, but also of bringing archaeology alive for a wider audience. 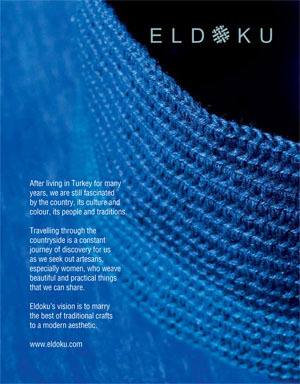 And what with this being Istanbul 2010's last involvement in an exhibition, this isn't a bad way to remember that short-lived, slightly conflicted organisation. Highly, highly recommended. Saray İçi, Sultanahmet. Telephone: (212) 512 04 08 Open daily except Mondays, from 9am - 5pm until March 29, 2011. Entrance free.